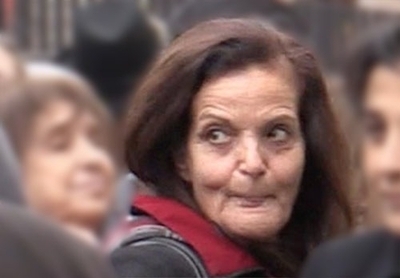 Editor's Note: For greater detail on the Rasmieh Odeh case, her elevation to hero by Palestinian advocates and the impact on her victims, please watch the Investigative Project on Terrorism's five-part video series, "Spinning a Terrorist Into a Victim." The psychologist who is prepared to testify that post-traumatic stress (PTSD) may have led Palestinian terrorist Rasmieh Odeh to hide her convictions in twin 1969 Jerusalem bombings on U.S. naturalization forms bases her untested theory solely on Odeh's own claims. And that, prosecutors argued in court papers Tuesday, is among the reasons a federal judge in Detroit should continue to preclude such testimony and uphold Odeh's 2014 conviction for immigration fraud. U.S. District Judge Gershwin A. Drain increased Odeh's sentencing guidelines after that trial, in part because he found she lied during her own testimony, prosecutors noted. Yet psychologist Mary Fabri "simply took what the defendant told her, accepted it as true, and formed her opinion based on the defendant's uncorroborated self-report." The Sixth Circuit Court of Appeals, which remanded the case in February, has ruled that expert testimony "based on the 'wholesale adaptation'" of one person is not reliable, prosecutors argued. The appellate court sent the case back to Drain after finding that the PTSD testimony was excluded for improper legal grounds during the 2014 trial. Drain still may determine that there are other, legally sound reasons for a similar outcome. If so, Odeh's conviction stands, pending another likely appeal. If not, a new trial could take place in January. Both sides made their cases in Tuesday's filings. Odeh's statements on immigration forms and in person to U.S. officials form the heart of the prosecution's case. Asked whether she had ever been arrested, convicted or imprisoned, Odeh checked a box marked "no." But she was arrested for the 1969 bombings, convicted the following year and spent 10 years in an Israeli prison. During the 2014 trial, Odeh testified that she thought the question applied only to her time in the United States. An immigration officer testified that she was trained to make it clear that the questions about criminal history apply to "anywhere in the world" and not since coming to America. Other officials testified that, had Odeh been honest about her terrorism conviction in Israel, she never would have been granted a visa to enter the United States, much less granted naturalization as a citizen. According to Fabri's theory, PTSD may have caused Odeh's to "filter" that episode out of her mind when answering the questions. That's because Odeh claims she was tortured in Israeli custody, and that mistreatment led her to confess to the 1969 bombings at a Jerusalem grocery store and the British Consulate. The Popular Front for the Liberation of Palestine [PFLP] carried out both attacks. The grocery story bombing killed two college students, Edward Joffe and Leon Kanner. The torture claims are wholly unsubstantiated. And, prosecutors note, Fabri does not say PTSD definitely led to Odeh's actions. And she has said she cannot know what Odeh's emotional state was filling out the forms and being interviewed by immigration officials in 2004. Fabri's theory has never been part of a peer-reviewed academic study. "Simply put, Dr. Fabri's theory has never been tested by anyone, anywhere – which is a powerful indication that her theory is not sufficiently reliable for admission in a court of law," they wrote. In response, Odeh's defense provided affidavits from two psychologists who specialize in PTSD and torture victims. They vouched "for the excellence of Dr. Fabri's diagnosis, her competence and the scientific reliability of her opinion." Granting Odeh a new trial and allowing Fabri's testimony would add new elements jurors would find confusing, prosecutors wrote. That could create "unfair prejudice" which might mislead the jury. In addition, they cite Sixth Circuit case law for expert testimony which describes "red flags" when there is a "reliance on anecdotal evidence, improper extrapolation, failure to consider other possible causes, lack of testing, and subjectivity." During the 2014 trial, Drain tried to keep the focus on Odeh's answers on her naturalization application and in interviews with government officials. Allowing Fabri's "dangerously confusing" testimony guarantees that a retrial "would be about nothing except what happened to Odeh in Israel in 1969-1970," prosecutors wrote. Indeed, defense attorney Michael Deutsch claimed that it "is undeniable that she suffered from PTSD at the time of her naturalization, resulting in substantial part from horrific torture she endured at the hands of her Israeli captors, years before." Israeli military documents from the two Jerusalem bombings "lack all credibility," he added. He emphasized that a government-appointed forensic psychologist examined Odeh for 17 hours, finding she did not appear to be faking her symptoms. However, the psychologist did find that, while Odeh may exhibit some symptoms, she "did not meet the full criteria for a diagnosis of PTSD." In the end, prosecutors say, the PTSD claim is too speculative and too unreliable. The one thing allowing it is sure to do is allow the defense to divert the trial's focus away from whether she was truthful when she applied for citizenship and make a retrial "about nothing except what happened to Odeh in Israel in 1969-1970, contrary to this Court's prior rulings."